Fugro, a firm that specializes in satellite positioning systems, has won a long-term contract for the provision of rig positioning services to Statoil Petroleum AS — the contract includes positioning of all the Statoil operated rigs on the Norwegian continental shelf together with the company’s associated vessels. Fugro uses all available navigation satellites (GPS, GLONASS, Beidou and Galileo) and will be permanently installed on the Statoil operated rigs and vessels. The robustness and accuracy (better than 3 centimeters) of these satellite systems, in conjunction with Fugro’s latest navigation software and technology developments, will ensure the best possible service for Statoil. Berit Sagatun, Commercial Manager for Fugro, cited the company’s track record in the delivery of innovative rig positioning systems. 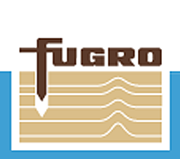 He said that, for decades, Fugro has been at the forefront of the rig positioning market in Norway. The company's knowledgeable and responsive project management team, combined with highly skilled and experienced offshore personnel, ensures safe and efficient operations for Statoil.